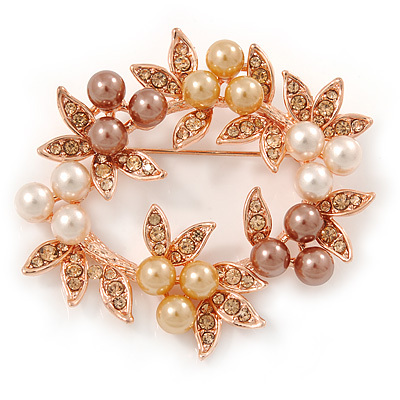 The world will know you're one classy lady when you enter wearing this gorgeous vintage wreath brooch. Featuring a beautiful wreath design, crafted in antique gold metal and decorated with citrine coloured Swarovski crystals. It measures about 40mm in diameter and secures with a flag pin and revolver. Will add more than a dash of razzle dazzle to your lapel, pocket, hat or bag.